The future UK W2E plant will use a special enzyme technology. Dong Energy UK has announced that it will begin work on its innovative waste-to-energy plant, to be located in Northwich, Cheshire, starting next month. The plant that is to be built will be a commercial, full-scale facility capable of producing biogas and recyclable materials from untreated municipal solid waste (ex. household waste); the first of its kind in the world. The company will be able to convert the untreated waste into green fuel using its REnescience enzyme technology. The technology speeds up the breakdown of unsorted household waste. The REnescience technology utilizes enzymes to accelerate the decomposition of unsorted household waste. It converts it into biofuel that can be transformed into renewable power via gas engines. DONG Energy UK also said that any metals and plastics found in the unsorted waste would be extracted and recycled. DONG Energy UK, which is a subsidiary of Danish energy firm DONG Energy, has already established itself as one of the UK’s biggest offshore wind energy developers. According to BusinessGreen, this is the first time the company has moved into the Y=UK waste-to-energy market. A step it made after its new technology underwent a successful trial at a demonstration plant in Copenhagen. Each year, the waste-to-energy plant is expected to process the amount of waste produced by nearly 110,000 UK households. DONG Energy UK will finance, build and operate the energy from waste plant. It is estimated that the plant will process up to 120,000 metric tons of waste per year, which is about equal to waste produced by almost 110,000 households in the UK. 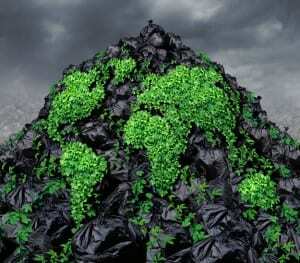 The waste will be supplied by FCC Environment, a UK waste management company. The facility is expected to begin operation at the Northwich, Cheshire site next year.